De Rossi & Son Co. Inc., Vineland, New Jersey, has been awarded a maximum $11,024,640 modification (P00009) exercising the third one-year option period of a one-year base contract (SPE1C1-15-D-1033) with four one-year option periods for men's blue wool coats. This is a firm-fixed-price contract. Location of performance is New Jersey, with a March 3, 2019, performance completion date. Using military service is Army. Type of appropriation is fiscal 2018 through 2019 defense working capital funds. The contracting activity is the Defense Logistics Agency Troop Support, Philadelphia, Pennsylvania. 1. What are the priorities the Commission should consider emphasizing and dedicating resources toward in the fiscal year 2019 Operating Plan and/or the fiscal year 2020 Congressional Budget Request? 2. What activities should the Commission consider deemphasizing in the fiscal year 2019 Operating Plan and/or the fiscal year 2020 Congressional Budget Request? 3. What retrospective review of rules should the Commission consider in the fiscal year 2019 Operating Plan and/or the fiscal year 2020 Congressional Budget Request? 4. The CPSC’s programs will align with the strategic goals outlined in the CPSC’s 2018-2022 Strategic Plan. The CPSC’s fiscal year 2019 Budget Request, submitted to Congress on February 12, 2018, is based on four agency priorities: (1) focusing the agency’s resources on the highest-priority consumer product safety risks; (2) continuing to support import surveillance by incrementally developing the Risk Assessment Methodology (RAM) system to identify and stop noncompliant imported products from entering the U.S. marketplace; (3) emphasizing outreach and education by engaging all stakeholders through forums and workshops; and (4) expanding the sources and types of data analysis used to identify and assess product safety risks and inform compliance decisions. The Commission requests comments on the priorities as presented in the FY 2019 Budget Request. The CPSC’s Budget Request for fiscal year 2019 can be found at: www.cpsc.gov/about-cpsc/agency-reports/performance-and-budget. The Commission also requests comments on whether the Commission should consider making any changes or adjustments to the agency’s proposed or ongoing safety standards activities, regulation and enforcement efforts in fiscal years 2019 and 2020 (16 CFR 1009.8). Comments are welcome on whether particular action items should be higher priority than others, should not be included, or should be added to the fiscal year 2019 and/or fiscal year 2020 agendas. 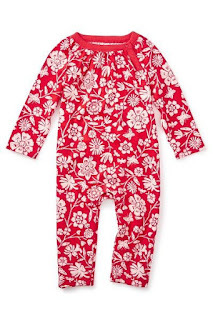 Description: This recall involves PL Sleep’s children’s 100 percent polyester nightgowns. 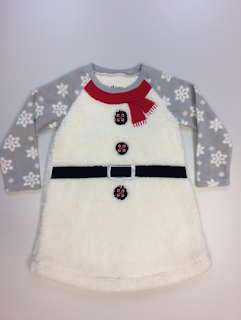 The nightgown has a gray and white snowflake print on the long sleeves and a faux Sherpa fleece body with a red scarf, three black buttons and black belt decoration on the front. The sleepwear included coordinating red and white striped socks. PL Sleep and model numbers 17FT62F561 and #101 are printed on a label sewn into the left inside seam. PL Sleep and the size are on the neck label. The nightgowns were sold in children’s sizes 2 through 7. Remedy: Consumers should immediately take the recalled nightgowns away from children and return the garments, with or without the socks, to the retailer where they were purchased or contact Lemur Group for instructions to get a full refund of the purchase price. Sold At: Lord & Taylor, Saks Fifth Avenue and Von Maur stores nationwide and online at Amazon.com and Chasing-Fireflies.com from October 2017 through February 2018 for between $16 and $38. From travel mugs to cosmetics, counterfeit goods harm the U.S. economy and can pose a threat to consumers. These products can be hard to spot and may be offered online next to authentic goods. For example, manufacturers determined 20 of 47 items we purchased from third-party sellers on popular sites were counterfeit. Customs and Border Protection leads efforts to stop imported counterfeit goods at the border, and Immigration and Customs Enforcement conducts investigations. The Government Accountability Office has recommended that CBP improve evaluations of the effectiveness of its efforts and assess opportunities to enhance information sharing with the private sector. The full report and recommendations may be read HERE. The American Apparel and Footwear Association has released the 19th edition of the Restricted Substance List (RSL), the industry’s chemical management resource listing banned or restricted chemicals and substances for finished apparel, footwear, and home textile products around the world. The RSL is an open-industry resource made available for all industry professionals. The 19th edition of the RSL covers 12 categories with more than 250 chemicals and is updated to reflect additions or changes to regulations and laws that restrict or ban certain chemicals in finished apparel, footwear, and home textile products. The RSL is produced by AAFA’s RSL Task Force which reviews and updates the list regularly to reflect the latest global regulatory changes. The RSL can be accessed here. Recently posted federal business opportunities. Clients of Agathon Associates and subscribers to Agathon Associates' Trade Advisor Service can find links to the full solicitations at www.agathonassociates.com/textile-pri/berry/fbo.htm. You will need to enter your username and password. If you do not know your username and password email David Trumbull at david@agathonassociates.com. National Industries for the Blind, Alexandria, Virginia, has been awarded a maximum $17,700,984 modification (P00007) exercising the one-year option period of a one-year base contract (SPE1C1-17-D-B012) with a one-year option period for various types of coats and trousers. This is a firm-fixed-price, indefinite-delivery/indefinite-quantity contract. Locations of performance are Virginia, Alabama, Maryland, New Jersey and North Carolina, with an Aug. 31, 2019, estimated performance completion date. Using military service is Air Force. Type of appropriation is fiscal 2018 through 2019 defense working capital funds. The contracting activity is the Defense Logistics Agency Troop Support, Philadelphia, Pennsylvania. Goodwill Industries of South Florida, Miami, Florida, has been awarded a maximum $7,570,665 modification (P00003) exercising the one-year option period of a one-year base contract (SPE1C1-17-D-N010) with a one-year option period for various types of coats and trousers. The modification brings the maximum dollar value of the contract to $13,036,646 from $5,465,981. This is a firm-fixed-price, indefinite-delivery/indefinite-quantity contract. Location of performance is Florida, with an Aug. 31, 2019, estimated performance completion date. Using military service is Air Force. Type of appropriation is fiscal 2018 through 2019 defense working capital funds. The contracting activity is the Defense Logistics Agency Troop Support, Philadelphia, Pennsylvania. Southwest Cutters - Justice Apparel Group LLC, El Paso, Texas, has been awarded a maximum $7,153,500 modification (P00019) exercising the second one-year option of a one-year base contract (SPE1C1-16-D-1034) with four one-year option periods blue physical fitness jackets. This is a firm-fixed-price, indefinite-delivery contract. Location of performance is Texas, with a March 4, 2019, performance completion date. Using military service is Navy. Type of appropriation is fiscal 2018 through 2019 defense working capital funds. The contracting activity is the Defense Logistics Agency Troop Support, Philadelphia, Pennsylvania. Propper International, Mayagüez, Puerto Rico, has been awarded a maximum $27,125,193 firm-fixed-price, indefinite-delivery/indefinite-quantity contract for athletic shoes. This was a competitive acquisition with six responses received. This is an 18-month base contract with one 18-month option period. Maximum dollar amount is for the life of the contract. Location of performance is Puerto Rico, with a Feb. 15, 2021, performance completion date. Using customers are Army, Air Force, Navy, Marine Corps and Coast Guard. Type of appropriation is fiscal 2018 defense working capital funds. The contracting activity is the Defense Logistics Agency Troop Support, Philadelphia, Pennsylvania (SPE1C1-18-D-1036). On February 16, 2018, U.S. Customs and Border Protection published in the Federal Register (83 FR 7064) the process to solicit, evaluate, and select interested parties in the private sector to fulfill agency needs for instruction and related instructional materials for trade-related training, pursuant to section 104 of the Trade Facilitation and Trade Enforcement Act of 2015 (TFTEA). On February 24, 2016, former President Barack Obama signed into law the Trade Facilitation and Trade Enforcement Act (TFTEA), (Pub. L. 114-125, 130 Stat. 122, Feb. 24, 2016) (19 U.S.C. 4301 note). Section 104 of the TFTEA directs the Commissioner of U.S. Customs and Border Protection (CBP) and the Director of U.S. Immigration and Customs Enforcement (ICE) to establish and carry out, on a fiscal year basis, trade-related educational seminars to: (1) Improve the ability of personnel of CBP to classify and appraise imported merchandise; (2) improve the trade enforcement efforts of CBP and ICE personnel; and (3) otherwise improve the ability and effectiveness of CBP and ICE personnel to facilitate legitimate international trade. Interested parties in the private sector that meet the guidelines and criteria set forth in this notice and are selected by CBP or ICE may provide instruction and related instructional materials at these seminars pursuant to section 104. Topics upon which training may be conducted include tariff classification, customs valuation, country of origin (including procedures for identifying merchandise bearing mislabeled country of origin markings), proper assessment of AD/CVD, evasion of duties on imports of textiles, border enforcement of IPR, enforcement of child labor laws, and other topics as appropriate and useful as concerns the trade-related duties and missions of CBP and ICE. Interested parties desiring to conduct training under this program will be selected based on: (1) The availability of CBP and ICE personnel for such training; (2) the relevance of the training to the topics specified in section 104; (3) the usefulness of the proposed training as concerns the trade-related duties and missions of CBP and ICE; (4) any existing or future need to train CBP and ICE personnel on identifying and detecting incorrect or false country of origin with respect to imported merchandise; and (5) the expertise and experience of the proposed private sector instructors in the subject matter of the proposed training. Portland, Maine, February 13, 2018 -- United States Attorney Halsey B. Frank announced that Pure Collection Ltd. ("Pure") and its CEO, Samantha Harrison (“Harrison”), both of Harrogate, England, have entered into civil settlement agreements with the U.S. under which they will pay a total of $908,100 to resolve allegations that they violated the False Claims Act ("FCA"). The FCA is the government’s primary civil remedy to redress false claims involving government funds. The settlements resolve allegations that Pure and Harrison improperly avoided U.S. customs duties owed on merchandise shipped from the United Kingdom to U.S. customers, including many customers in Maine. See United States ex rel. Patrick v. Pure Collection Ltd., 2:16-cv-00230-GZS (D. Me.). Generally, U.S. customers owed no customs duties on single shipments of merchandise into the U.S. worth less than $200 (a limit later raised to $800). The complaint alleged that Pure and Harrison improperly evaded customs duties that would have been paid by U.S. customers by breaking up single shipments worth more than those amounts into multiple shipments of lesser value in order to avoid the applicable duties. The FCA action was originally filed by Andrew Patrick, a citizen of the United Kingdom, under the Act’s whistleblower, or qui tam, provisions that allow private individuals who have knowledge of fraud committed against the government to file lawsuits on the government's behalf. The FCA permits the government to recover up to three times the amount of damages incurred by the U.S., in addition to civil penalties for each violation. The government may also intervene and file its own lawsuit for damages and penalties, as it did in this case. If the government prevails in the action, the whistleblower, also known as the relator, may receive a share of the recovery. Here, the government will pay the relator, Mr. Patrick, a share of the settlement proceeds. The government was represented by the U.S. Attorney's Office for the District of Maine, the National Courts Section of the Department of Justice, and U.S. Customs and Border Protection. Pure and Harrison cooperated throughout the investigation. The seventh round of NAFTA renegotiations will be held in Mexico City, Mexico, from February 25 to March 5, 2018. Members of the media must register before 11 p.m. (Mexico City time) on Thursday, February 22, 2018, at TLCAN/NAFTA (available in English or Spanish only). 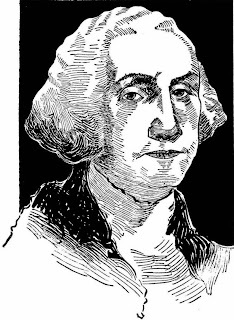 Monday is WASHINGTON’S BIRTHDAY, a federal and state holiday to honor the hero of the Revolutionary War, the Father of His Country, and the first President of the United States. Of the 45 men to serve as chief executive of the Union, only Washington is so singled out for honor with a federal holiday. Federal, state, and local government offices in the United States will be closed. Many businesses, especially those that routinely engage with government offices, will also be closed in observance of the day. That many persons now call the third Monday in February "Presidents Day" is an indicator of our lack of discrimination and devaluing of true accomplishment and fame. To put it in perspective, Catholics believe that each of the 266 popes was the Vicar of Christ on Earth, infallible in matters of faith and morals, and yet fewer than 90 have been added to the calendar of Saints (and no less erudite writer than Dante placed some of the popes in Hell), but common American usage honors equally the great Washington and the least noble and least accomplished of men to hold the office by jumbling them all together on "Presidents Day," the equivalent of declaring each a "secular saint." Slighting of Washington by calling his birthday "Presidents Day" also errs by neglecting the 29th of May, which by state law (Mass. Gen. Laws Chap. 6 Section 15VV) is our PRESIDENTS DAY, in memory of John Adams, John Quincy Adams, Calvin Coolidge and John Fitzgerald Kennedy, former presidents from the Commonwealth. Virginia, home of eight presidents, including Washington, beats us out in total number. But here in the Bay State we have something the Old Dominion lacks. 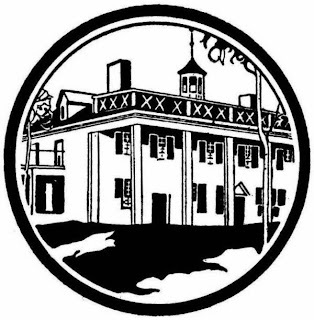 We have in our midst the Washington Library -- About 800 books and pamphlets from George Washington's personal library at Mount Vernon given to the Boston Athenæum by a group of Bostonians in 1848. The books themselves are priceless and only serious scholars need apply for permission to use the collection. However, in 1997 the library published a catalog so the rest of us can see what sort of books the great man was reading. Books on history and government from Washington's library include his personal copy of Common Sense, the tract by Thomas Paine that was so influential in promoting the revolutionary spirit. The General, of course, had several books on military science. Remembering that Mount Vernon was a working farm, we are not surprised to find books on agriculture and practice arts such as carpentry and horsemanship. President Washington's mind ranged beyond those necessary topics, for we also find books on religion, linguistics, and poetry. I could lump Washington in the same group with some of the lesser men who occupied the White House -- but that would be a lie. Check out this video showing at Slater Mill. Description: This recall involves Rural King’s electric heated blankets and throws. The 100% polyester blankets and throws were sold in cream and brown colors and in two sizes: 50 x 60 inches (smaller than a twin size) and 84 x 90 inches (queen size). They have one or two multi-setting controllers attached to the electric cord. Model numbers starting with BLV-OB and ending in 200, 201A, 201B, 201C, 202, 202BN, 202CM, 203, 204A1, 204A2, 204A3, 204A2BR , 204A2CM, 205B1, 205B2, 205B3 or 206C1 can be found on a corner tag. Matton Rural King Supply, Inc. is printed on the back of the tag. Remedy: Customers should immediately stop using the recalled blankets and throws and contact Rural King for a full refund. Incidents/Injuries: Rural King has received four reports of the blankets and throws overheating. Two incidents resulted in fires and one burn injury to a consumer’s foot. Sold At: Rural King stores nationwide and online at www.ruralking.com from October 2017 through December 2017 for between $30 and $60. Importer(s): Rural King, of Mattoon, Ill. Description: This recall involves two styles of children’s rompers sold in sizes 0-3 months and 18-24 months. They are Vermillion Painted OPP Floral Romper with style number 7F32500, and the Shocking Fuchsia Rose Romper with style number 7F32504. The Vermillion rompers are red with white floral print, and the Shocking Fuchsia are maroon with a pink floral print. The style number is printed on a tag sewn on the inside of the garment located in the waist area. Remedy: Consumers should immediately take the recalled rompers away from children and contact Tea Living for a full refund. Incidents/Injuries: The firm has received five reports of the snaps detaching from the garments. No injuries have been reported. Sold At: Nordstrom, Von Maur and various boutique stores nationwide and online at teacollection.com from July 2017 through December 2017 for about $27. Lions Services, Charlotte, North Carolina, has been awarded a maximum $11,348,700 modification (P00014) exercising the first one-year option period of a one-year base contract (SPE1C1-17-D-B008) with two one-year options for advanced combat helmet chinstraps and hardware. This is a firm-fixed-price, indefinite-delivery/indefinite-quantity contract. Locations of performance are North Carolina and Texas, with a Feb. 16, 2019, performance completion date. Using military service is Army. Type of appropriation is fiscal 2018 through 2019 defense working capital funds. The contracting activity is the Defense Logistics Agency Troop Support, Philadelphia, Pennsylvania. Title:             (S) Uniform Supply Contract Base +1 Replaces canceled solicitation 36C25918Q0189. SDVOSB set-aside. New item list (attached). The Commercial Customs Operations Advisory Committee (COAC) will hold its quarterly meeting on Wednesday, February 28, 2018, in Miami, Florida. The meeting will be open to the public. 1. The Trusted Trader Subcommittee will present an update from the C-TPAT Minimum Security Criteria Working Group on its recommendations regarding CBP's plans to roll out new C-TPAT criteria. The subcommittee will also provide an update on the progress on the Trusted Trader Strategy. 2. The One U.S. Government Subcommittee will continue discussions on the progress of the Fish & Wildlife Service Working Group and will present the white paper on the Harmonized Tariff Schedule project. The subcommittee will also discuss an update from CBP's Trade Transformation Office on ACE Deployment G Release 4 and also from the Technical and Operational Outages Working Group. 3. The Exports Subcommittee will discuss the final work of the Export Manifest Working Group, which has been developing comprehensive recommendations on the following topics: Timelines, filing regime, targeting regime, hold issuance and shipment interception process, and an account-based penalties regime. There will also be an update on the automated export manifest pilots, and on progress in implementing a post-departure filing pilot as part of the ocean pilot. 4. The Trade Modernization Subcommittee will discuss the International Engagement and Trade Facilitation Working Group's efforts to prioritize the recommendations it made in 2017. The subcommittee will discuss the establishment of the Regulation Modernization Working Group and its efforts to identify and prioritize areas of regulations administered by CBP that can be reformed. In addition, the subcommittee will discuss the establishment of the Trade Facilitation and Trade Enforcement Act (TFTEA) Educational Mandate Working Group that will identify educational opportunities as referenced in Section 104 of FTEA. Finally, the subcommittee will discuss the progress being made in the e-Commerce Working Group. 5. The Global Supply Chain Subcommittee will present the status of a pilot that will test the utilization of existing Automated Commercial Environment (ACE) automation in the pipeline mode of transportation. The committee will also discuss the progress of the Global Supply Chain Subcommittee's Emerging Technologies Working Group. The subcommittee will discuss the activities of the newly formed In-Bond Working Group that will focus on identifying issues within the scope of the ``Changes to the In-Bond Process'' final rule published in the Federal Register on September 28, 2017 regarding their implementation. 6. The Trade Enforcement & Revenue Collection (TERC) Subcommittee will provide necessary updates from the Anti-Dumping and Countervailing Duty, Bond, Forced Labor and Intellectual Property Rights Working Groups. An application has been submitted to the Foreign-Trade Zones (FTZ) Board by the Pease Development Authority, grantee of FTZ 81, requesting authority to reorganize the zone under the alternative site framework (ASF) adopted by the FTZ Board (15 CFR Sec. 400.2(c)). The ASF is an option for grantees for the establishment or reorganization of zones and can permit significantly greater flexibility in the designation of new subzones or ``usage-driven'' FTZ sites for operators/users located within a grantee's ``service area'' in the context of the FTZ Board's standard 2,000-acre activation limit for a zone. The application was submitted pursuant to the Foreign-Trade Zones Act, as amended (19 U.S.C. 81a-81u), and the regulations of the Board (15 CFR part 400). It was formally docketed on January 30, 2018. The application was filed with assistance by Agathon Associates and Foreign Trade Zone Solutions. M&M Manufacturing LLC, Lajas, Puerto Rico, has been awarded a maximum $28,335,938 firm-fixed-price, indefinite-delivery/indefinite-quantity contract for trousers. This is a three-year contract with no options. This was a competitive acquisition with 13 responses received. Location of performance is Puerto Rico, with a Jan. 31, 2021, performance completion date. Using customer is Afghan National Police. Type of appropriation is fiscal 2018 through 2021 foreign military sales funds. The contracting activity is the Defense Logistics Agency Troop Support, Philadelphia, Pennsylvania (SPE1C1-18-D-1023). M&M Manufacturing LLC, Lajas, Puerto Rico, has been awarded a maximum $28,103,438 firm-fixed-price, indefinite-delivery/indefinite-quantity contract for coats. This is a three-year contract with no options. This was a competitive acquisition with 13 responses received. Location of performance is Puerto Rico, with a Jan. 31, 2021, performance completion date. Using customer is Afghan National Police. Type of appropriation is fiscal 2018 through 2021 foreign military sales funds. The contracting activity is the Defense Logistics Agency Troop Support, Philadelphia, Pennsylvania (SPE1C1-18-D-1021). Within the U.S. industry it is widely understood that Department of Defense acquisitions of textiles and clothing are government by the Berry Amendment which requires domestic U.S. sourcing. Less well known is that the Berry Amendment applies to all funds "made available" to the Defense Department. That includes Department of Defense procurement for Foreign Military Sales. On February 1, 2018, U.S. Immigration and Customs Enforcement (ICE) representatives announced that enforcement actions led by Homeland Security Investigations (HSI) and U.S. Customs and Border Protection resulted in the seizure of over 171,926 counterfeit sports- and entertainment-related items worth an estimated $15.69 million, and joint investigative efforts led to 65 arrests with 24 convictions. The results from Operation Team Player, a year-round effort developed by the HSI-led National Intellectual Property Rights Coordination Center (IPR Center) to crackdown on the illegal importation of counterfeit sports apparel and entertainment merchandise, were revealed at a press conference hosted by the NFL with participation from ICE, CBP and the Minneapolis Police Department (MPD). American public and fund criminal organizations engaged in other illegal activities.” Special agents from HSI teamed with industry, CBP, FBI, Minneapolis police officers and other partner agencies to identify flea markets, retail outlets and street vendors selling counterfeit goods during the week leading up to Super Bowl LII. 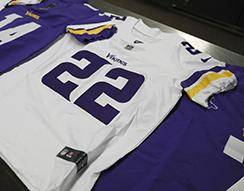 They seized fake jerseys, hats, cell-phone accessories and thousands of other bogus items prepared to be sold to unsuspecting consumers. This year’s Operation Team Player, which saw a 16 percent increase in arrests, began at the conclusion of last year’s Super Bowl. Throughout the year, the IPR Center led coordinated efforts with major sporting leagues to target contraband that impacts the economy, enables additional criminality and poses potential health and safety hazards to the public. As one of the U.S. government’s key weapons in the fight against criminal counterfeiting and piracy, the IPR Center is not only committed to closely coordinating with its 23 member agencies, but also collaborating with industry and anti-counterfeiting associations to develop initiatives, coordinate enforcement actions and conduct investigations related to intellectual property theft. Description: This recall involves Alstyle infant bodysuits. The 100% cotton, short-sleeved bodysuits were sold in black, blue, pink and white. They have a lap shoulder construction with three-snap closure at the crotch. The bodysuits were sold in sizes 6M, 12M and 18M. “Alstyle” and “Made in Mexico” are printed on the neck label and “CAT – # – J” is printed on a white label sewn into the left inside seam. Remedy: Consumers should immediately stop using the recalled bodysuits and contact Alstyle for instructions on returning the recalled bodysuits free of cost and to receive a $10 Alstyle gift card per bodysuit. Incidents/Injuries: The firm has received one report of snaps detaching from the bodysuit. No injuries have been reported. Sold At: Wholesale and screen printers nationwide and online at www.alstyle.com from August 2015 through September 2017 for between $2.15 and $2.25. More information and photos HERE. Seoul, Korea -- Officials from the United States and the Republic of Korea met in Seoul, Korea on January 31 - February 1 to advance amendment and modification negotiations and other discussions on the U.S.- Korea (KORUS) Free Trade Agreement. Discussions focused on specific proposals, including those related to market access and tariffs. The United States emphasized steps to rebalance the Agreement to improve the large trade deficit in industrial goods, including autos and auto parts. Additionally, the United States pressed for the resolution of Agreement implementation concerns that have hindered U.S. goods and services export growth and opportunities in Korea. Both sides anticipate setting dates in the near future for further meetings in Washington, DC. The U.S. delegation was led by Michael Beeman, Assistant U.S. Trade Representative for Japan, Korea and APEC. Korea's delegation was led by Deputy Minister Myung-hee Yoo of the Ministry of Trade, Economy and Industry (MOTIE). At the direction of President Trump, in July 2017 Ambassador Lighthizer initiated talks to consider matters affecting the operation of the KORUS FTA, including to address the significant trade imbalance and to resolve market access problems in Korea for U.S. exports. This meeting follows KORUS amendment and modification negotiations held on January 5, 2018, as well as special sessions of the KORUS Joint Committee in 2017.